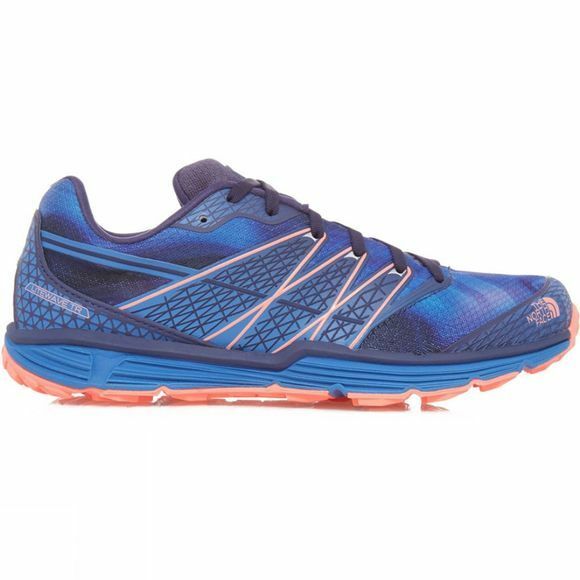 The North Face Women's Litewave is a balanced and lightweight trail running shoe performer with a neutral platform and a lively, fun feel. Built for comfort and speed, on-road or off with welded-TPU overlays in the heel, toe cap and quarter that provides support to the lightweight upper. The single-density EVA midsole delivers instant and lasting comfort for neutral stride runners.